A 1967 Van Cleef & Arpels ruby and diamond clip once owned by Maria Callas. Photo by Van Cleef & Arpels. This roundup of “On My Mind” has just two things I will be thinking about a lot this week—Van Cleef & Arpels jewelry and the Belmont Stakes! Maria Callas wearing the brooch at her shoulder in Paris, December, 1973. Photo by RDA/Getty Images. With the L’Ecole Van Cleef & Arpels starting soon at the Cooper-Hewitt, I have been going through all the pictures I took from the exhibit Set in Style: The Jewelry of Van Cleef & Arpels in 2011, as well as the book of the same name. 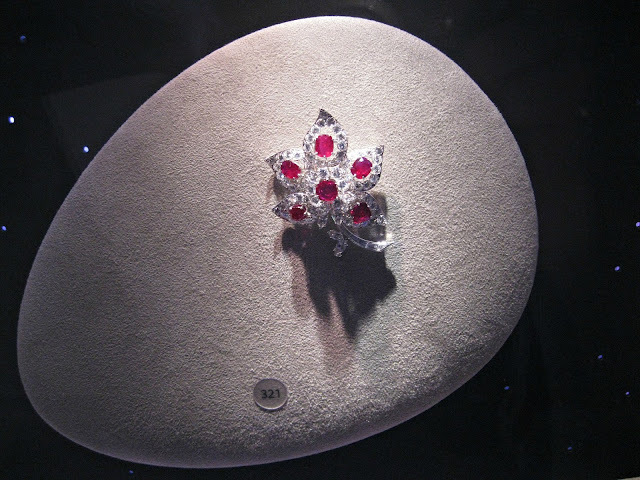 I came across the photo below that I took of a glorious 1967 ruby and diamond brooch once owned by opera singer Maria Callas. What do we think, was it a gift from her lover Aristotle Onassis? My money is on yes but I am not clear on this issue so if you have any information about its provenance, do share! It is now part of the Van Cleef & Arpels archives and is stunning in person, as you can see from the photos. I love the picture above, showing Maria wearing this amazing piece at her shoulder! 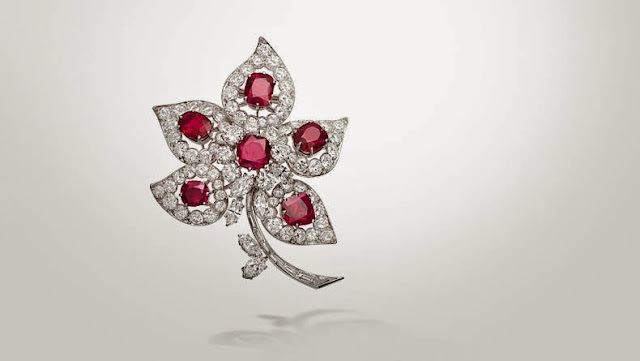 Does it get any better than wearing rubies and diamonds on your shoulder? The brooch on view at the exhibit Set in Style: The Jewelry of Van Cleef & Arpels, 2011. 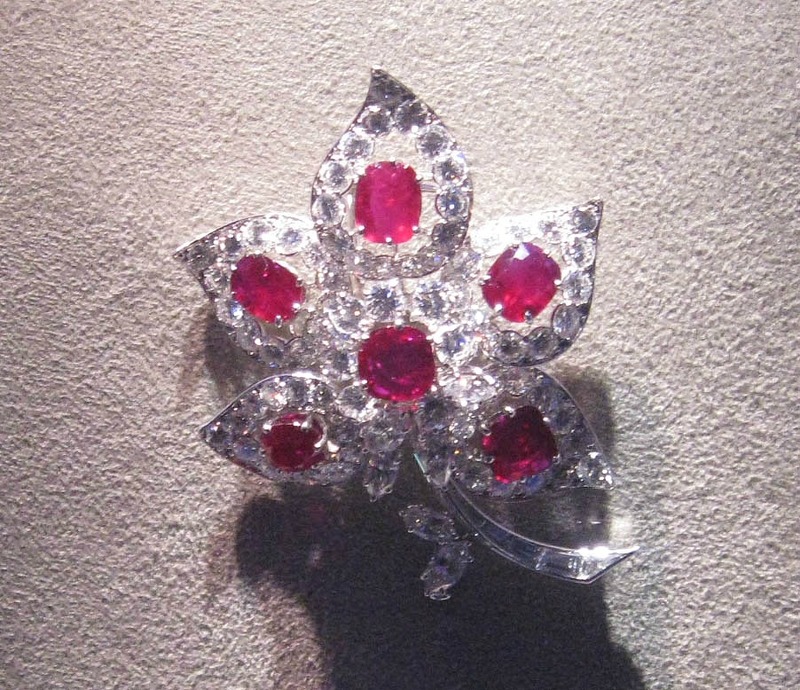 Look at the color of those rubies! Let the weeping commence! 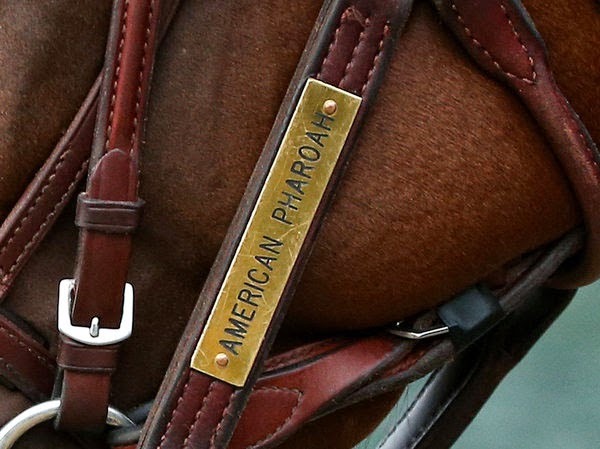 A detailed shot showing the name plate of American Pharoah, misspelling intact. Photo by Patrick Smith. I’ve become more interested in watching Triple Crown races in the last year. After the disappointment of hoping California Chrome would win the Belmont Stakes last June, only to have him fall short of goal, I can’t help but think that maybe 2015’s Triple Crown contender, American Pharoah, won’t be able to pull it off either because of trainers that have their horses sit out the Preakness, and sometimes the Kentucky Derby too, then enter them in Belmont to act as a spoiler to the favorite, which they are often successful at. Because I expect this exact scenario to play out it will make it all the sweeter if American Pharoah can pull off the win at Belmont and become the first Triple Crown champion since Affirmed in 1978. 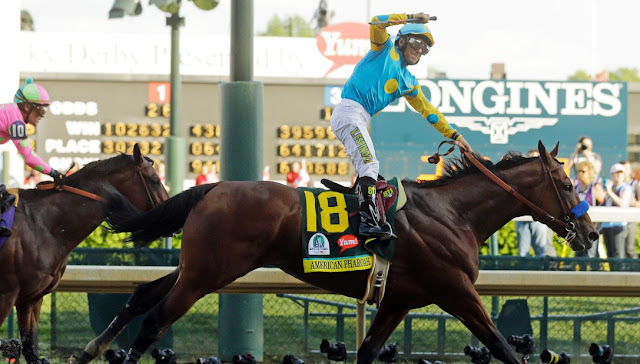 American Pharoah winning the Kentucky Derby, May 2, 2015. Photo by Morry Gash/AP. There is an interesting article over at The New York Times about who named this beautiful horse (it wasn’t the owner) and how the word “pharaoh” was misspelled during registration. The name stands as it was entered into the system, no matter how it happened, and will now be retired in any spelling variant in order to not confuse bettors. Huh! Let me know what you think of Maria’s VCA brooch and if you are watching (and betting on!) the Belmont Stakes! I suppose if you bet in just the right way you could head to VCA after the race and buy yourself a fantastic brooch with your winnings! Jill, I'll bet you've never been a cheap date! 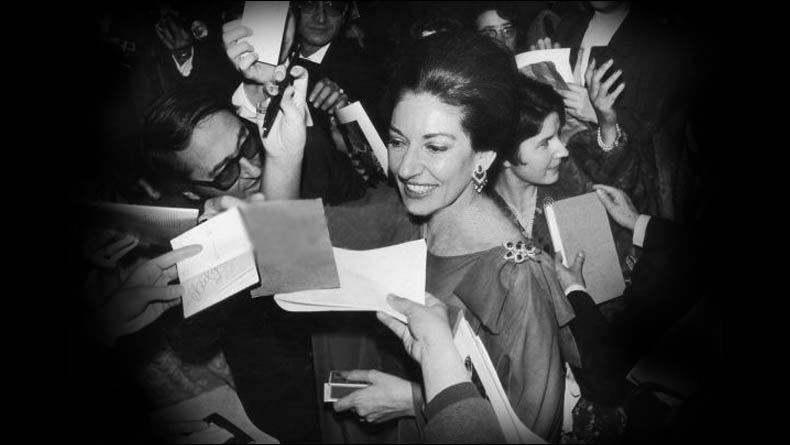 Yes the piece on the divine Maria Callas is spectacular. Count me as 1 hoping American Pharoah doesn't win as I want the horse that breaks the long triple crown drought to be owned by an American. Oh GSL, always provocative! Re cheap date: I do believe there was a time in my life, when I was much younger, when it did not cost very much money, if any at all, to entertain me. My tastes have changed over the years. Ha!